It's that time of the year again where thousands of Nestle loyal consumers and Nestle Club members as well as health aficionados gather once more at the Megatrade Hall of SM Megamall for the annual Nestle Choose Wellness Expo 2014! 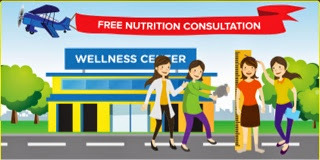 The month of July had truly been a significant month for Filipinos, not only because it is the month where we celebrate "Nutrition Month" but also because it's the month where Nestle annually held its #ChooseWellnessExpo. 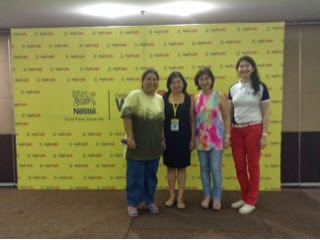 Nestle Choose Wellness was launched to create a movement for healthier Philippines. It is all about eating healthier, moving more and living better. Small changes make big differences. 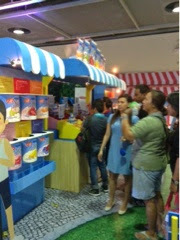 Nestle Choose Wellness Expo gives one motivation and ideas to make these small changes to happen! Nestle Choose Wellness Expo 2014 is a two-day affair where there will be lots of activities, games and booths as well as surprises for participants. 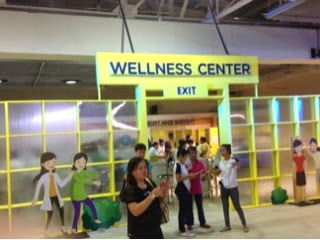 There will also be free nutrition counseling and consultation, free Nestle products samples and loads of freebies, not to mention, participants have a chance to bring home a special Nestle Wellness Souvenir umbrella upon completion of three brand booths and by visiting other interactive wellness activities! 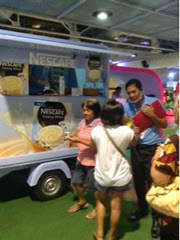 Moms enjoy a lot of product sampling including their favorite coffee, Nescafe. 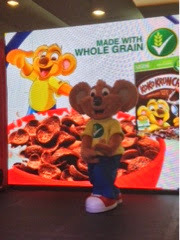 Koko Krunch mascot entertains the kids at the Wellness Theater. 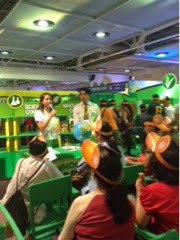 Health and Nutrition experts give tips on proper diet at the Nestle Cereal Booth. A participant tries her hand at the Nestle Yoghurt game booth. 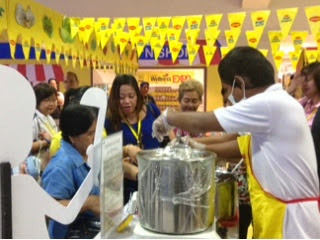 Maggi provided free cooking demos and product samples to the delight of the crowd. Activities in the Wellness Expo are generally intended for 7 years old and above, and are NOT intended for women who are pregnant and lactating, and children below 3 years old. Children 3-12 years old should be accompanied by an adult at all times. 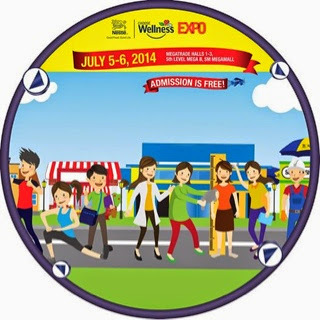 Admission to Nestle Choose Wellness Expo 2014 is ABSOLUTELY FREE. IT IS OPEN TO THE PUBLIC! Walk-ins are welcome but it's best to pre-register online. 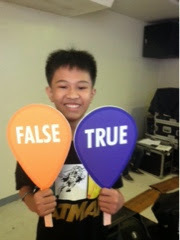 Kyle won in a game of True or False. Purple Plum Fairy (the author) with Nestle Executives Ms. Sandra Puno, Nestle Philippines Director of Communications, Ms. Aurora Alipao, Head Nestle Corporate Communications and Consumer Services, and Ms. Leslie Go-Alcantara, Nestle Corporate Wellness Head. Keep posted to know more about the exciting things to come at the#ChooseWellnessExpo.